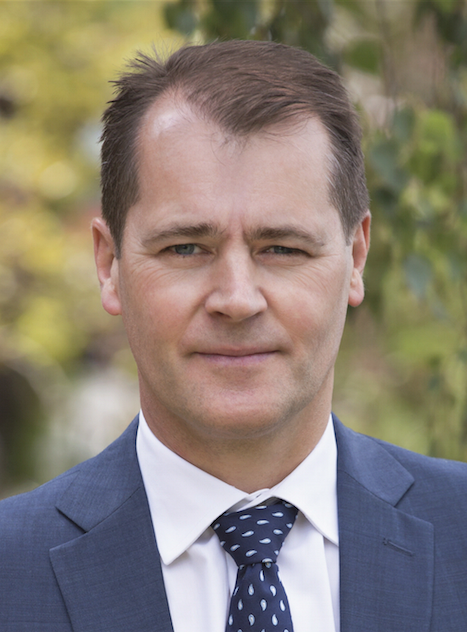 We asked Andrew Wood, Managing Director at Melbourne’s Wood Property Partners, for his top five tips for finding the perfect investment property. If you’ve decided to kick off next year with your search for an investment property, you may have already started thinking about what, where and when. But with so much choice in the marketplace, just what does make a smart investment property? I think it was Gordon Gekko in the late 80’s movie Wall Street who said, “Don’t get emotional about stocks”. Well, the same goes for an investment property. Don’t apply the same lifestyle or emotive decision-making techniques that you would if you were buying your own home. An investment property is more about return on the capital invested and capital growth. The investment property market in 2019 will present prime buying opportunities and if you follow this checklist you will set yourself up to enjoy long-term stable income and capital growth. Great location — you’ll want your investment to be close to convenient transport, amenities, and all the great social action tenants will expect, such as cafes and shops. Minimal maintenance requirements — some initial value-add works are OK, but if a property is going to need ongoing upkeep, dismiss it. Which do you want more, rental income or capital growth? Yes, I know... you want both. But just be aware that capital values move at different speeds for different properties in different locations. The main objective of property investment is to maximise both annual return (rental income per annum) and capital return (increase in value per annum). Added together this is called the total return, however, most properties will have more of one than the other. Not all investment properties behave in the same way — some have a higher annual return and lower capital return and vice versa, so be clear about which one is more desirable to you. It’s not hard to find an investment property with an annual return of 5% (rent divided by purchase price) but it may have slightly lower capital growth than a house which normally has a lower annual return, especially after all the maintenance costs. Figure out what’s more important to you and search accordingly. The last thing you need is an unpleasant financial surprise. Buying and owning an investment property has several one-off and annual costs. When evaluating each property, make sure all the costs are in your numbers. Also, check the market rate for rental income and don’t rely on the sales agent’s assessment. One great tip to avoid being in the dark is to buy a property that is already leased. This way you’ll know exactly what the rental income is, you won’t suffer from a rental void (vacancy after settlement), and you’ll save on leasing fees. There may be other costs especially if you are setting up a holding company or buying in a Self Managed Super Fund. Obtaining a loan approval is particularly tricky at the moment and you should negotiate the purchase to be subject to (or conditional upon) finance approval. There are also a number of after-tax considerations that your accountant will help you with, but never make your property selection based on tax issues. Select the right property for you and then see how you can structure it as effectively as possible. When buying an investment property, you are not only entering the property investment market, you are also entering the property rental market (as an owner). Therefore, you need a good feel for the rental market and a full understanding of what tenants like and will pay extra for. These things are often different from what a home buyer is looking for. Take note of how many people are turning up to rental opens and how long the property is on the market for. While you’re at it, get to know the rental agents and quiz them about the rental market. Tell them what you’re doing as you will need a great rental agent (don’t just go with the selling agent’s property management team). Ask them what tenants like and don’t like and what is happening with rental rates. In short, get the complete picture on what’s happening in the rental market in the area you’re looking. Perhaps my single biggest tip is to encourage you to inspect dozens and dozens of properties. There is only so much research you can do from a computer or phone. You absolutely must spend time going from property to property and getting intimately familiar with lots of different properties and values. Keep a schedule of each property you look at with its key features as well as all the things that are not on the listing — things like any overlooking, natural light, general condition, configuration, local area, etc., and record what each property sells for. Then calculate the yield (rental return as a percentage of sale price) using your market assessment of rent. Once you are fully educated on the market you are ready to start making offers. You may need to make four or five offers before you are successful, so don’t get attached to any one property (Don’t get emotional, remember?). When you do find one that you like, you will be ready to make a genuine offer. Stay in close contact with the agents and when you find a property you are interested in purchasing, don’t play games or feign a lack of interest or you may miss out.